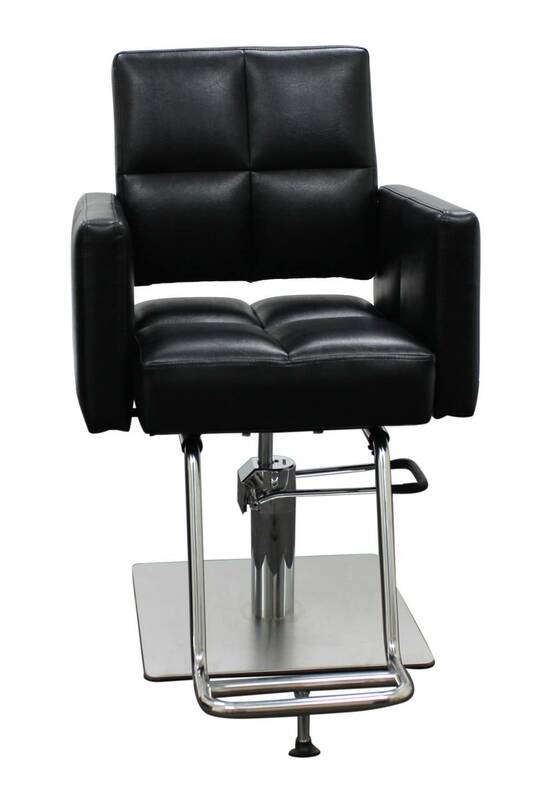 The Lauren Styling chair featuring plush tufted upholstery, brushed stainless steel square base, and U-shaped footrest. Plush tufted upholstery makes this chair super comfortable, your clients would never want to leave this chair! Buy more and save more, save up to 5% off! 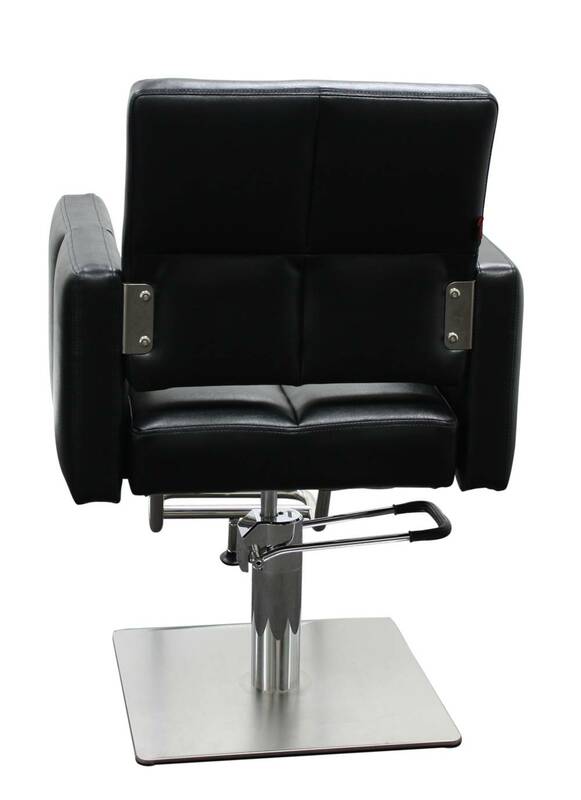 This beautifully designed styling chair features sturdy hydraulic brushed stainless steel squared base, U-shaped footrest, and cushy armrests. Plush tufted cushions and widened seat designed for client comfort. Bold and modern shape will give your salon an updated look. 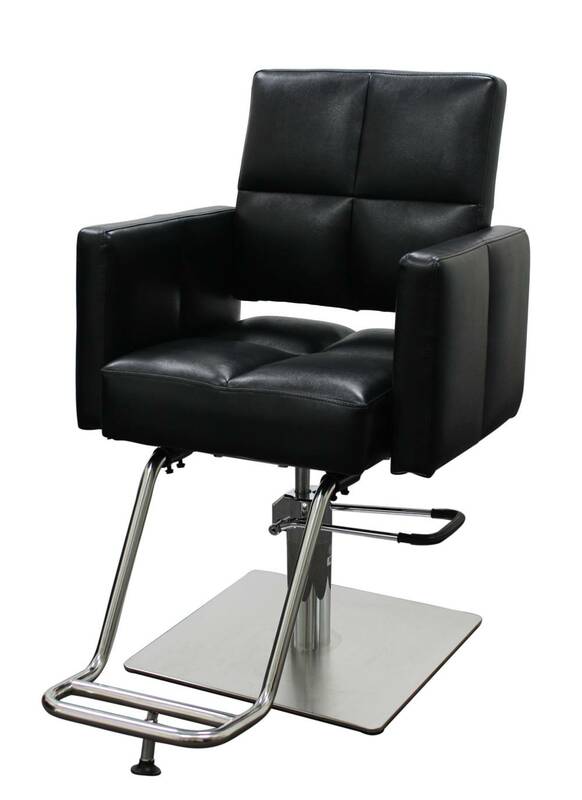 Backrest: (L x H) 20" x 17"
Seat: (L x W) 19" x 19"
Arm to arm: 20"- 27"
Adjustable Seat Height: 20"- 26"